Even though her birthday is not for a few more days, we had Willa's birthday party yesterday. I had so much fun planning it and getting all craftsy. I chose a ladybug theme because I thought it would be so fun. (I was right. It was fun.) 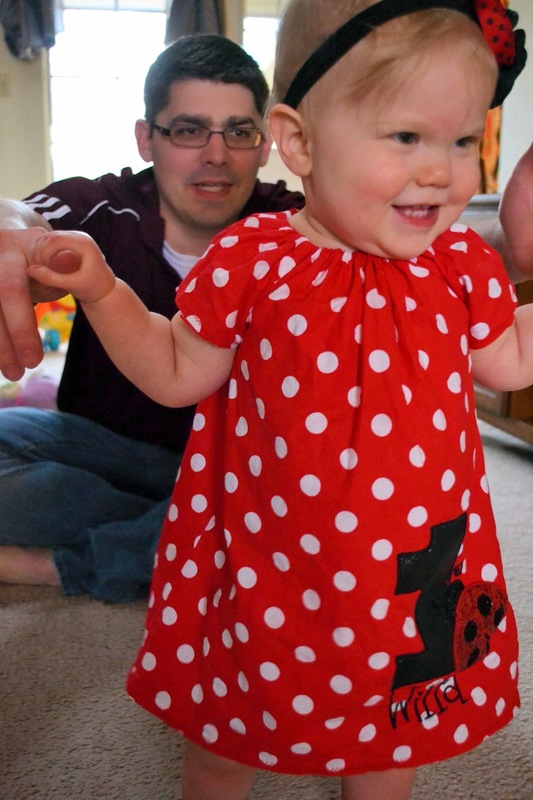 I love this dress I found on Etsy for Willa to wear to her party. She looked adorable. She seemed to know the day was for her! Great time! !